This Wooden Spool Ornament is a fun and easy DIY and makes the cutest little vintage ornament for your Christmas tree! It is so fun to customize for your own preferences too! Homemade ornaments are the BEST!! I bought a big bag of wooden thread spools at a garage sale and have been excited to make some ornaments for Christmas with them. 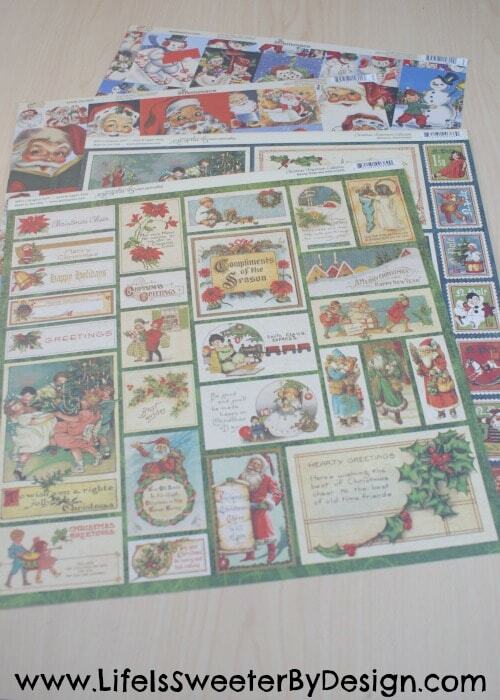 I was trying to decide what kind of ornaments to make when I remembered that I had this beautiful vintage Christmas scrapbooking paper! 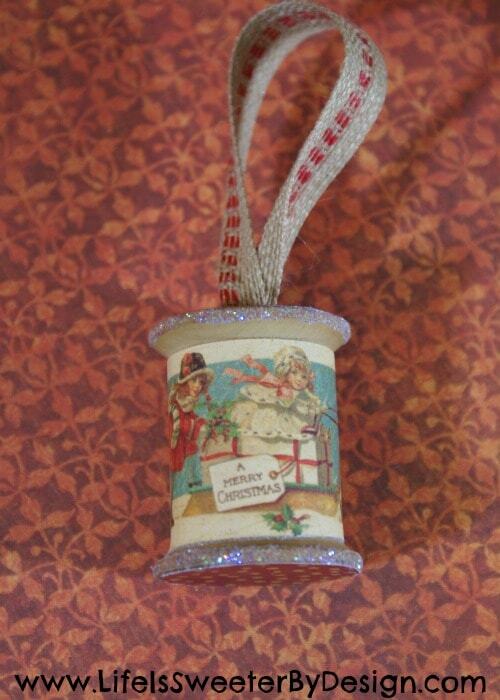 Great combination for a Wooden Spool Ornament! 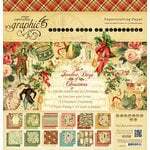 The paper I used was by Graphic 45. 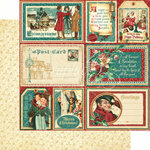 They have wonderful vintage papers that are just amazing and so fun to work with! 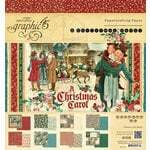 Here are a few examples of some that you can find online at Scrapbook.com. First you need to pick out your wooden spool. There are lots of different sizes. I picked mine based on the size of the vintage scene that I wanted to put on the ornament. If you don't have a wooden spool, you can buy a bag of various sizes on Amazon for a good price! I used an unpainted wooden spool, but it you prefer a painted spool you can definitely paint it any coordinating color! 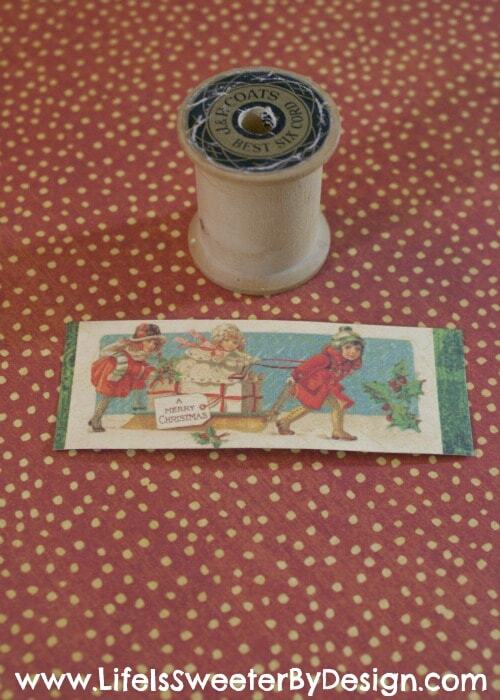 Now you need to cut out a small section of vintage paper that will fit onto the middle section of your spool. I measured the diameter of my spool and then cut my paper accordingly with my sharp craft scissors. Now I used my Therm O Web Super Tape to adhere the paper to the wooden spool. If you haven't used this tape…you are missing out! It is double-sided and SUPER STRONG! I put two rows of tape on the back of the paper and then wrapped it around my spool. It is ON THERE to stay!! Next I cut out circles of a coordinating paper to cover the top and bottom of the spool. I used my regular Scotch scrapbooking Adhesive Roller to adhere the paper to the top and bottom of my spool. In the top of the spool I poked a hole in the paper where the hole is so that I could use my ribbon as a hanger for the ornament. Now I wanted to jazz it up a little so I used some Scotch Liquid Glue to put glitter on the edges of the ridges of the spool. 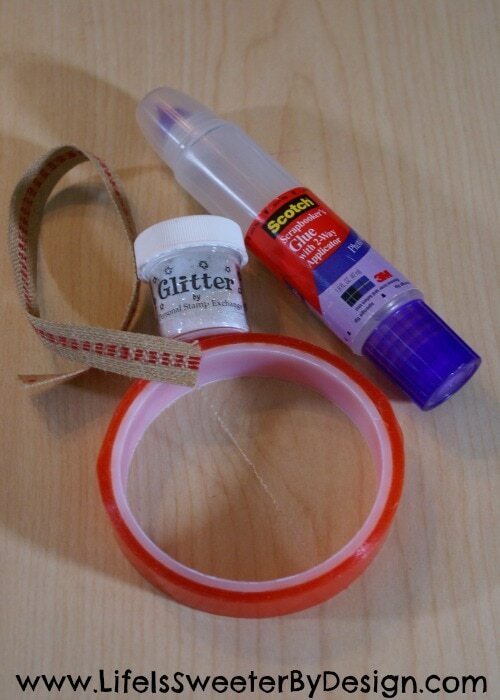 I just smoothed some glue onto the edges with my finger and sprinkled with white sparkly glitter. Lastly, I secured my ribbon to the spool. 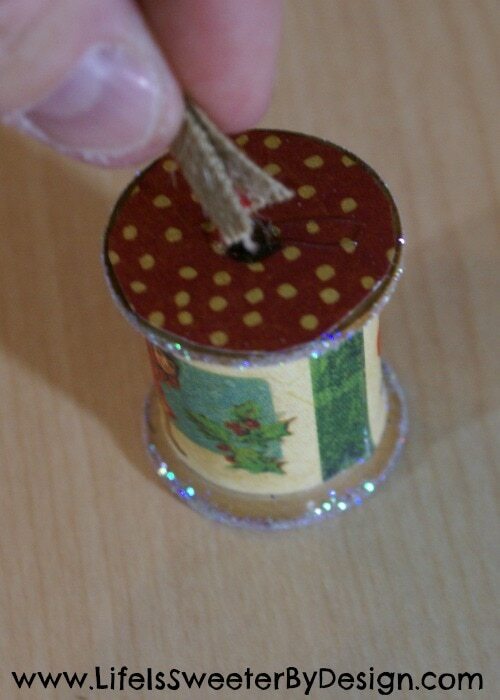 I put some hot glue into the hole in the top of the spool and then folded my ribbon in half and squished it down into the hole as far as I could get it! One word of warning…don't let that hot glue dry inside the spool before you put your ribbon in there or you will have a little problem on your hands, lol! That was all it took to make this adorable wooden spool ornament for the tree! I was thrilled with how it turned out! The hardest part was picking out which cute vintage scene to use for the ornament! 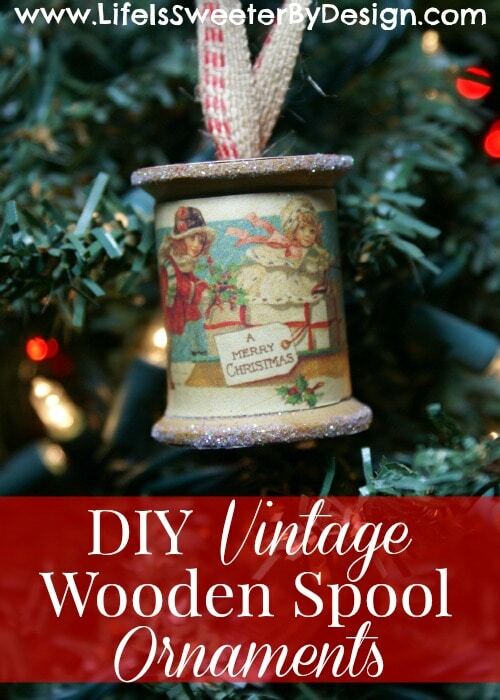 Have you ever made any kind of wooden spool ornament? If you love creative ornaments or want to try your hand at a personalized photo ornament…check out my tutorial for how to make a personalized photo ornament! I would love to hear what kind of homemade ornaments you make for Christmas!! Jamie, I just love this! 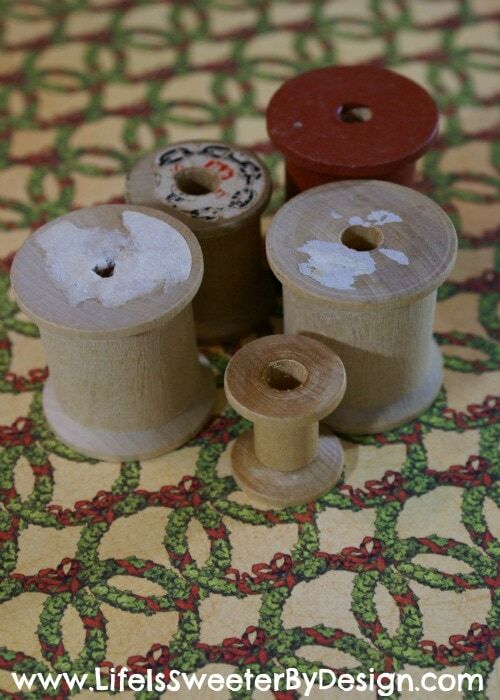 I love wooden spools. I’m gonna have to give this a try. I have three Christmas trees in my home and this year one of them will be adorned with all homemade ornaments….. Thanks so much for commenting Pam! I love the wooden spools too!! I am hoping to make a bunch more ornaments! I would love to see all your homemade ornaments!! Thanks for the idea. Nicely done!